This mini-album features seven cover versions plus a couple of acoustic versions of songs from Houston's debut album. The CD inlay seems to imply that its a 7 song mini album with two "bonus" tracks as the acoustic songs are credited separately which seems kind of pointless to be honest, but it's not a big deal. I must confess to only knowing the original versions of two of these songs - "Carrie", and "Didnt we almost win it all", and these aren't huge hits either. I take this as a positive sign actually - for me when bands attempt cover versions, they seem to succeed more when the song they cover isnt so well known - covering a well known song means that the versions will be compared in detail and often the cover just fails to match up to the original. "Runaway" is a good song with plenty of guitar and which suits Hank Erix's vocals perfectly. "Without your love" is a duet with Elize Ryd from Amaranthe, and is a great song. Elize's vocals are the perfect choice to duet with Hank Erix, and this is truly top class stuff - my favourite song on the album. "Truth slips" was on Houston's debut album and is performed here in a stripped down acoustic form, with just a piano to accompany the vocals. The song features guest vocals from Helena Alsterhed duetting with Hank Erix. This a nice gentle slow song and works really well - I think I might actually prefer this version to the original, which is saying something. "1000 songs" is another acoustic number with just Hank Erix singing accompanied by the piano. While this is still very good it's not quite as good as "Truth slips" and is one where I prefer the original version. 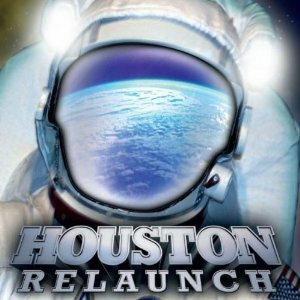 Relaunch is a great release and one which shows why Houston are rapidly gaining fans. There are some great cover versions here and the guest vocalists - Elize Ryd and Helena Alsterhed really make those songs in particular stand out for me. The whole album though is extremely good and is an essential purchase for any AOR fans. Bands like Survivor need to watch out - Houston are coming to take their place as one of the top AOR bands around.